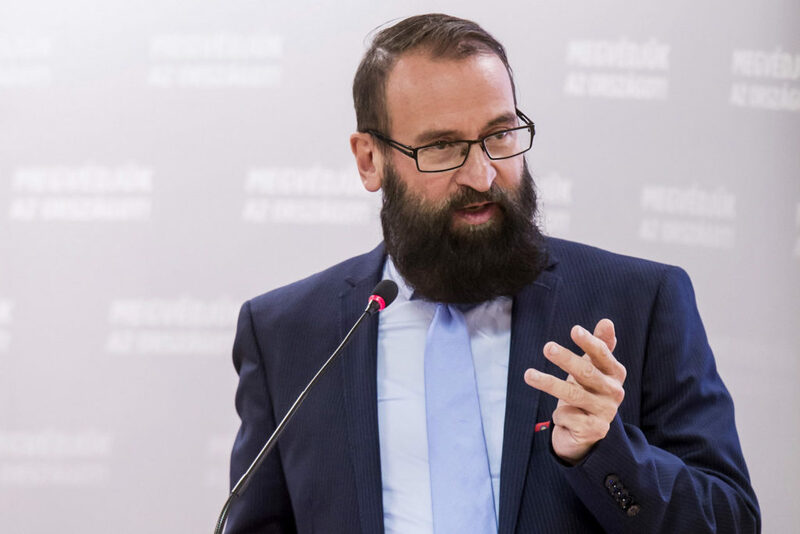 Accusations of fake news leveled against Hungarian print and online weekly hvg by Fidesz MEP József Szájer appear baseless in light of the self-described “christian democratic” politician’s own comments. The Hungarian equivalent of The Economist is one of but a handful of print media outlets to withstand the government onslaught on independent media under the current Fidesz-KDNP government of Viktor Orbán. Last week, we reported hvg.hu’s account of Fidesz MEP (and European People’s Party co-chair) József Szájer’s town hall event speech. During his remarks Szájer reportedly likened the refugee crisis to the conquest of the Army of the Dead from popular television series “Game of Thrones”. It is common knowledge for journalists reporting on Hungary that remarks made during these town hall events are often especially extreme and serve to drum up support for the public’s participation in the government’s national consultation(s). On Tuesday, after the report on Szájer’s statements was published, Szájer emailed his colleagues in the EPP accusing hvg.hu of being fake news. In the recent days (sic) I am under an orchestrated attack on behalf of the leftwing media after a fake news report in my country. The leftist weekly hvg.hu accused me in a Sunday report about my town meeting in the northen (sic) Hungarian city of Eger on the day before, telling that migrants are zombies (sic). Obviously this is a slanderous lie. I never have said this, and you know me well, for me as a christian democratic politician, or just a human being the human dignity is of utmost importance. We could be on any side of the big debate on migration in Europe but I am sure we agree that stating that refugees are not humans, goes way beyond any moral red line, it is comletely (sic) unpermissable (sic). If anyone says something like that I will be myself among the firsts (sic) to protest against it. I wrote immediately a letter to the editor of the journal protesting against this lie, which they put in my mouth. I also posted the relevant part of the voice record of the meeting on my website. It stands as clear proof for my real words, which have nothing to do with what hvg.hu did report about them (sic). I guess, from this you can already see how incorrect these reports are. On Thursday, the MEP publicly fired back against hvg.hu in an opinion piece published on Magyar Idők, a pro-government propaganda outlet, and again accused hvg.hu of being fake news. But all he did in this piece was admit to making the inflammatory remarks during the town hall address. In light of Szájer’s comments, his claim that hvg deliberately misrepresented his comments as part of a left-wing orchestrated attack on him is, at best, disingenuous. This is not the first time a leading Fidesz politician or publicist has sought to justify government anti-immigration and anti-EU policies by making references to popular science fiction. In 2015, during an anti-refugee speech, Fidesz publicist Zsolt Bayer cited Tolkein’s Lord of the Rings and compared Viktor Orbán to Gandalf the Grey (who prevented the ancient demon Balrog from crossing the bridge of Khazad-dûm). Bayer Zsolt calls on Hungarians to be like Gandalf the Grey from Budapest Beacon on Vimeo.